Abstract: On 18th June 2015, Airwheel held a new product release conference and Airwheel A3 electric self-balancing scooter has made its first public debut in the conference. Airwheel A3 is going to create a new travelling era for the whole electric self-balancing scooter industry. The advent of Airwheel A3 electric self-balancing scooter has made a great shock for the whole industry. It is reminding the electric scooter customers that a new era for Airwheel A3 is coming. 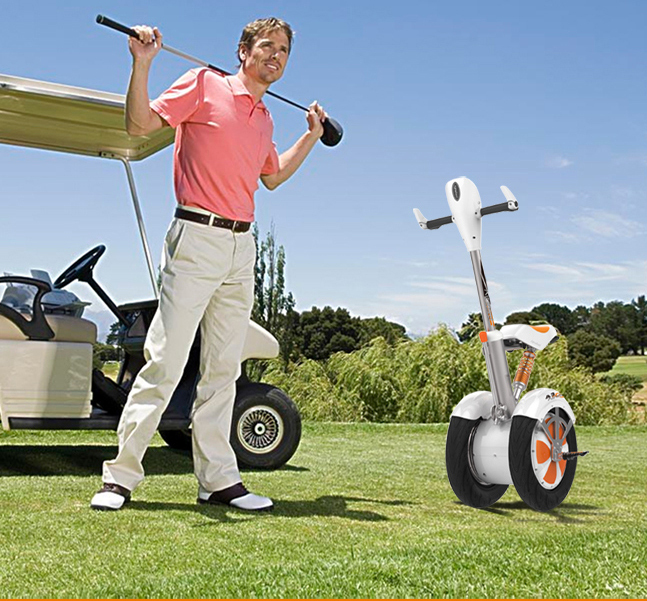 Airwheel A3 scooter is a revolutionarily new product for the transportation filed. This intelligent and portable travelling tool has made a breakthrough for the conventional electric self-balancing scooter field. The release of Airwheel A3 intelligent scooter turned over the image of “5 kilometers short distance trip” set in most customers’ mind. Furthermore, it has solved the balance-controlling problem under sit-and-drive mode. The conventional scooters are too easy to lead to driving fatigue which made most people regarded electric self-balancing scooters as a short distance travelling companion. This is also the most criticized limit for conventional scooters. Airwheel has succeeded to conquer this difficulty by initializing a new sit-and-drive mode for electric self-balancing scooters to make scooter riding more flexible and comfortable. 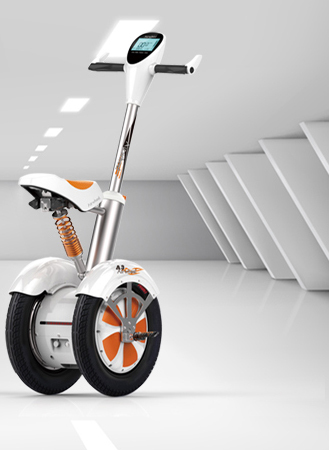 The convenience and flexibility of Airwheel A series scooters have not only improved customers’ driving experience but also solved the problem for transportation tools to enter a public area such as an elevator, a walking road and a public bus and so on. One can take his A3 electric self-balancing scooter to any corner of the city without caring about the vehicle restrictions anymore. Airwheel A3 electric self-balancing scooter has created a new era for 2 wheeled electric scooter industry and for transportation filed. With the development of technology and science, Airhweel will contribute more to improve its products and customers’ driving experience.